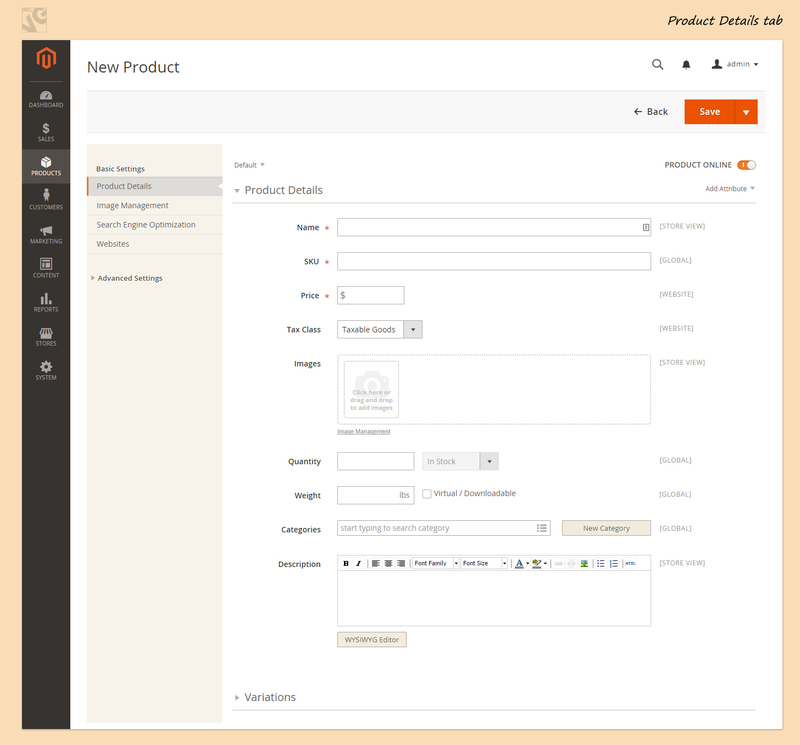 In the first step we will choose the attribute set, which defines the fields that are included in the product details. First in the Administration panel choose Products>Catalog. 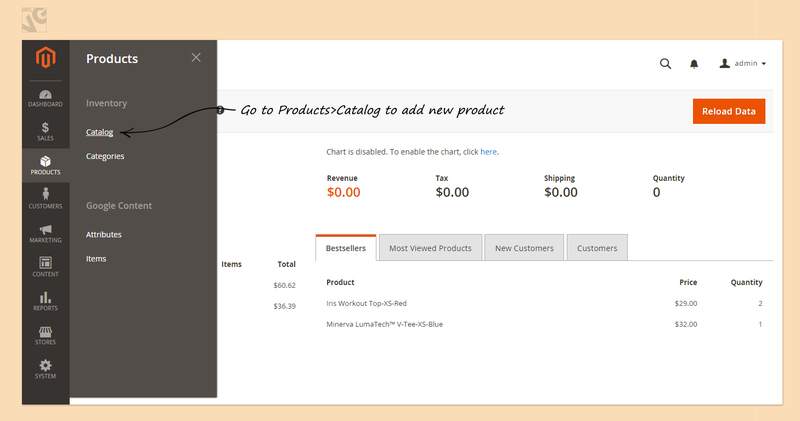 Then in the upper-right corner of the Products page you will see the Add Product button. Pressing the button will immediately send you to the New Product page. There you will start creating you Simple product. 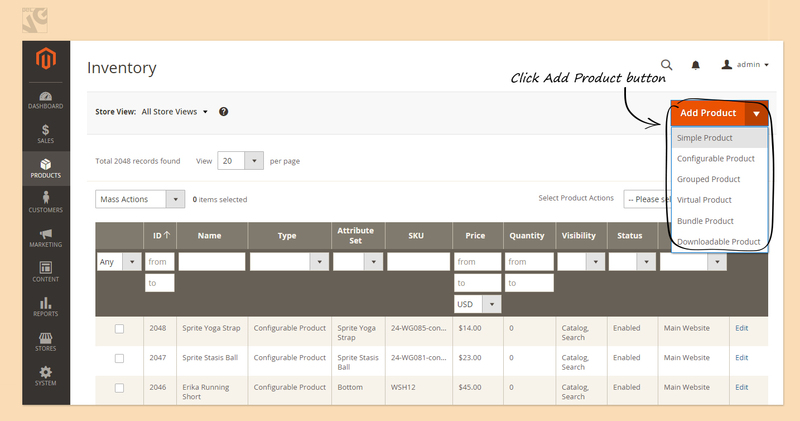 However, if you need to create other types of products you should click on the arrow near the Add Product button and choose the type you need from the list (Simple Product, Configurable Product, Grouped Product, Virtual Product, Bundle Product, Downloadable Product). Now we will complete the Required Fields on the New Product page. 2) Next goes the Image Management tab where you can upload more images in order to show your product. Type a Meta Title. It will specify a title for your product’s page. Then write Meta Keywords which specify keywords that are relevant to the product. 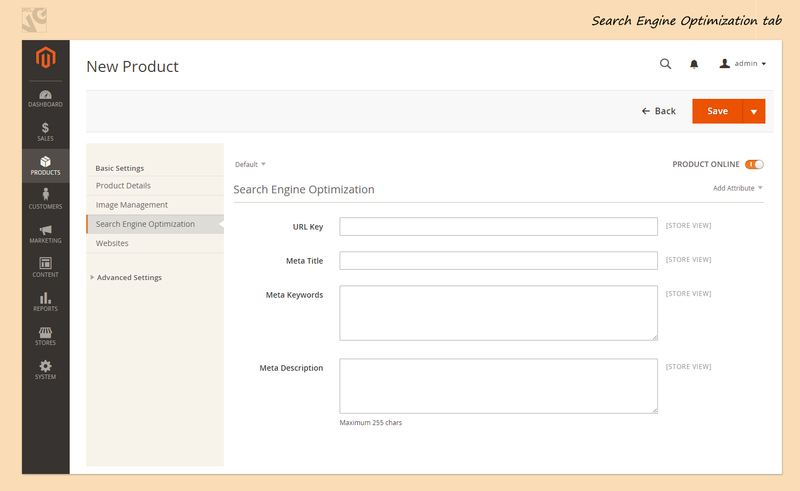 4) The last tab in a Basic Settings is Product in Websites. If you’re managing multiple Websites, you can select which websites this product belongs to by associating it to Websites from here. Just check the Websites you want the product to be available at. Do not forget to check the Product Online button to be ON (situated in the upper-right corner). Now you’re ready to save the product.